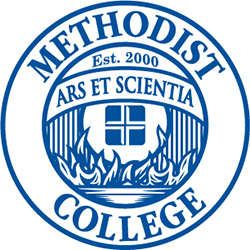 Methodist College reviews all research conducted through the auspices of the College in accordance with the requirements of the U.S. Department of Health and Human Services (DHHS) Office of Human Research Protection (OHRP) through which Methodist College is registered (IORG0009166). Research conducted by faculty, staff, students, and those outside the institution who wish to conduct research with populations at Methodist College are required to seek and receive approval to conduct research through the Methodist College Institutional Review Board for the Protection of Human Participants in Research (IRBPHPR). The IRBPHPR is responsible to review research initiatives involving human participants, as well as data collection involving qualitative or quantitative data that may be published, even when the data are collected in the course of educational endeavors. The following listed forms of the IRBPHPR are to be used to seek approval.